If you have a problem please give us a ring to discuss your concerns (this telephone service is free and without obligation) following which we can, if necessary, arrange a site inspection for a small fee. Following our assessment in the form of a report outlining the defects, the probable cause and suggested remedial works and a general estimated cost, we will discuss your options and advise you of the appropriate steps to take, informing you of likely costs at all stages of the process. If this is acceptable, a specification of works will be prepared (with a measured survey and drawings as appropriate depending on the size and complex nature of the defect), the works tendered and the contract awarded. There will follow contract administration (monitoring of works, costs, interim valuations) and finalisation of the contract with all parties. Our fees will usually be assessed on a time-spent basis as it is considered the most cost efficient method for the client as it is directly related to the defect(s). 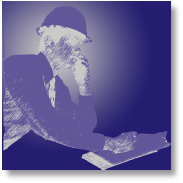 Building surveying covers a broad spectrum of work in the design, construction and management of property and is an area of expertise that is constantly evolving to reflect the new methods of construction in the industry. 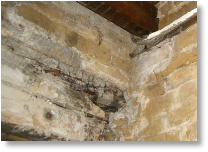 The Building Surveyor is concerned with building pathology in the performance, condition, disrepair, conservation and aftercare of existing buildings. The Building Surveyor also deals with the design for Refurbishment, Extensions, Loft & Basement Conversions and New Build together with all the necessary requirements for Town Planning, Building Regulations, Bye-Laws etc. This is dealt with in more detail in the Architectural Design page. If you consider that a contractor has not completed a project/job for you correctly or that building control or other statutory procedures have not been complied with, we will investigate these points on your behalf. We will report on any defective workmanship/inappropriate procedures and advise on the likely extent and cost of works to put this right and negotiate on your behalf with the contractor. If court proceedings are necessary (to be avoided if at all possible),we will also act as an expert witness with a report prepared in accordance with the Civil Procedure Rules. T he purchase of your home is one of the most expensive outlays you are likely to make and you therefore need to walk in with eyes wide open to any defect or potential defect that may incur future expenditure. We prepare a full Building Survey in which we give a comprehensive structural report, investigate the fabric of the building and report on defects, the likely cause and the method of remedy with approximate costings and future maintenance options. Please note that this is more detailed than a Home Buyers Report or Condition Report, neither of which we undertake. For more details of each type of survey offered by the RICS, rollover the CLIPBOARD. This gives ‘traffic light’ ratings to the condition of elements of the property, advice for your legal advisors and details of urgent defects. This gives the information as for the Condition Report plus separate market valuations and insurance re-instatement costs and advice on defects that may affect the value of the property with repairs and ongoing maintenance advice. 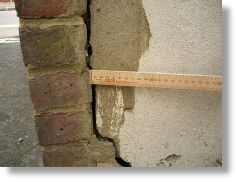 This gives a comprehensive structural report including defects, repair and maintenance options. This includes insurance re-instatement costs but does not include a market valuation of the property. The survey will outline potential defects and alternative ways of addressing them whether for temporary repair (you may be modernising) or for full rectification. This survey is essential for larger or older properties or if you are planning major works or refurbishment.